All orders for BlackIce (including back orders) will be upgraded to the new Fifth Generation myStorm version! 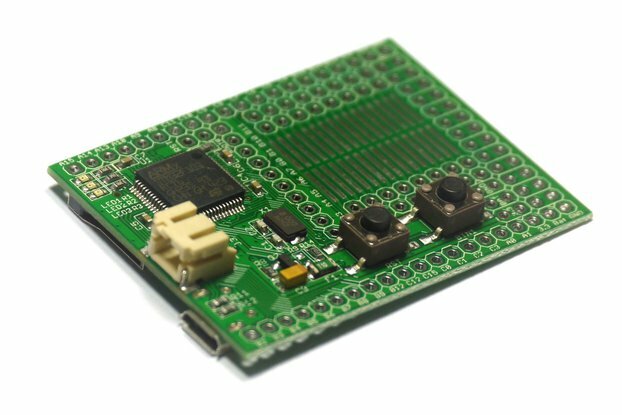 BlackIce II is an OpenSource Hardware FPGA development board sporting a massive 56 PIOs and 26 GPIOs with both PMOD expansion sockets and support for Arduino shields. It has an onboard Arm Cortex M4 microcontroller and a 144 pin Ice40 FPGA with 3520 logic cells, 80Kb internal block RAM and 4Mb external SRAM. 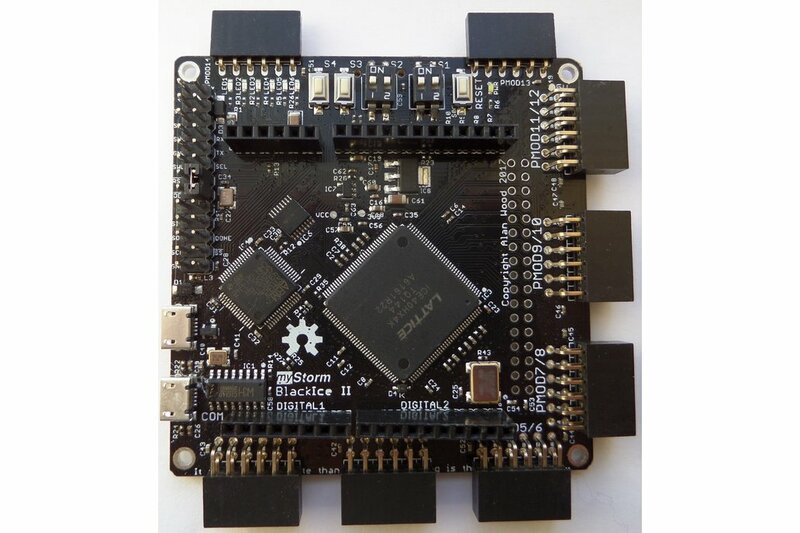 As makers, we fell in love with IceStorm opensource Verilog toolchain back in 2015 and wanted to create a best of class independent opensource hardware development board to fully use the IceStorm FPGA toolkit. You can read some of the myStorm history and background from it's debut at OSHCAMP 2016. BlackIce is a leader in its class for opensource FPGA hardware, it's IO capabilities exceed other Ice40 dev boards. It has been refined through 3 generations and has been proven in applications and deployment spanning over 2 years, it's got some real pedigree! BlackIce II provides maximum PMODs (peripheral modules) for building hardware add-ons and applications, way more than the competing Ice40 development kits. It is also completely OpenSource hardware making it easy for others to build on top of its design, especially when combined with the OpenSource IceStorm Verilog toolchain. Unlike some other microcontroller only development boards BlackIce II allows opensource hardware to be actually designed and synthesised using Verilog in addition to programming the onboard STM32L433 microcontroller with an Arduino compatible IDE, This combination is very powerful for tackling challenging maker projects like robotics, Retro Games, RISC V designs, SOCs, IOT, motor control and embedded applications. Further, it can be connected too and programmed entirely from a Raspberry Pi computer to create even more powerful standalone embedded Linux solutions. I purchased this product for the FPGA and the Sram. But it is a lot more. 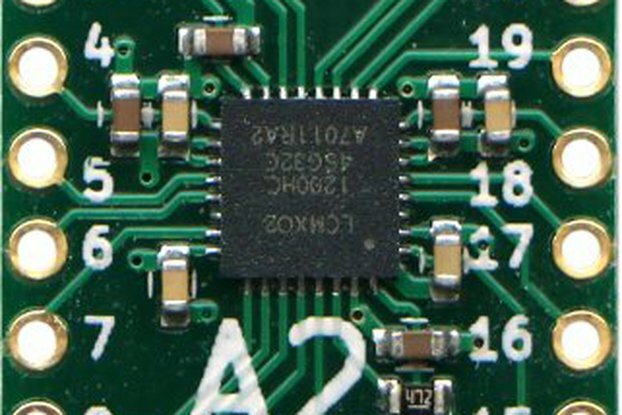 The STM32 is also programmable and has access to the arduino connectors. The STM32 can implement a USB on the go, to connect a keyboard (I will be working on this next). There is a lot of documentation to go through, as a beginner, I sometimes went the wrong way. I wrote down my steps and will put that on the forum for other people to use. I got the blink example working. Then alternate, and modified it for all four leds. I got the UART loopback and the SRAM working. I am now looking into making my own modules, looking at the many working examples, and learning Verilog and tools on the way. There is so many features on this board: arduino and rasberry Pi connectors, SD card accessible from either the STM32 and the ICE40. After toying around and testing the BlackIce II for a couple of months I ordered two more to really start tinkering with them. I find the built-in programming capability very easy to use; I've primarily tested the boards only with the open source IceStorm toolchain. This toolchain is great in many ways, for one it operates quickly, can be compiled for multiple platforms (personally used on mac OS, Linux/amd64 and Linux/arm) and it takes very little disk space compared to the official toolchain. The only downside is that the open source toolchain only supports verilog, and the vast majority of my code is in VHDL, so I've started learning Verilog - not a bad skill to have. In terms of hardware interfacing I haven't done too much yet, but have it working with VGA output and PS/2 keyboard connectivity using Digilent PMODs. I'm just entering into the world of FPGAs as part of a university course but have been watching the goings on in the open source community for FPGA devices and toolchains and thought i'd jump in and have a go. I mainly bought the board for use with IceStudio and the icestorm toolchain and selected it based on it being the best feature to price ratio for me. For now the buttons, LEDs and switches are enough for me to get going, but the 12 PMOD breakouts and the on board STM32 will mean it will take me a long time to grow out of the board. Delivery was quick, I ordered it on or just before the weekend and it arrived in my postbox on Monday. The packaging was fine and the hardware arrived in good condition. The board itself is nice and has a relatively small footprint, the only downside to the hardware as others have mentioned are the rather crappy dip switches. The documentation is comprehensive I installed my toolchain through IceStudio, the process was very simple. The getting started instructions direct you to install through the command line. Overall I'm very happy with my purchase! Nice board , great support ! I purchased this board to use for a high-speed (100Msps) ADC project. The board works very well and I received excellent support from the seller. I found there was good documentation on the wiki and the users group was helpful in getting some of my questions answered. 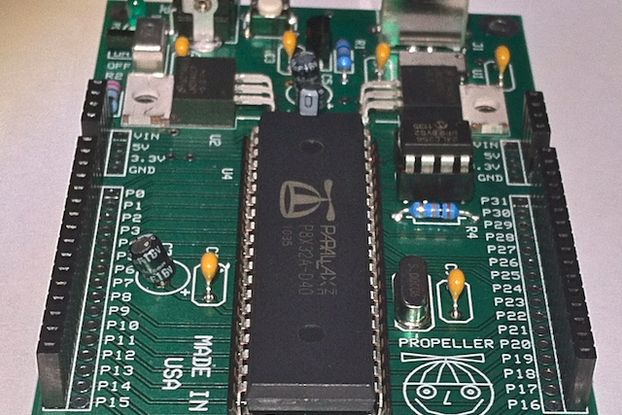 The thing I really liked about the board was that it had plenty of SRAM and I can use the STM32 as a co-processor. On the downside, the on/off dip switches are poor quality but are easily replaced. There are plenty of demo verilog programs available. I was able to use IceStudio and program the board in minutes. There open-source verilog tool chain was a breeze to setup and use compared to the tool chain for the Intel Cyclone I had been using. Nice product idea, rest could be better. After searching where I could buy this product, I eventually found this site. After placing the order, there was little communication. The order arrived fashionably late, as always with the UK post they say 4-7 working days and it always takes 2 weeks. The packaging consisted of one bubble envelope with the bare PCB, no notes or anything was included. After unwrapping, I noticed that a push button and a DIP switch were loose in the package, they must have fallen off with transport. When soldering these back on the PCB, I noticed the finishing on this product was not great and I removed some more solder from the surface which looked like it could make short circuits. After this I plugged the board in for the first time and it seems to be working (LEDs blinking). I found the FPGA to be working with icestudio, but still need to go searching for some actual documentation on this, because the weblog of the creator is seriously lacking a wiki. This is the place to start with for BlackIce II documentation, we also list links for the forum where you can ask questions directly as well as examples and the repository for source code. I love this board. It so happened that currently I'm interested in ICE40 FPGAs and programming STM32 MCUs. Guess what, BlackIce II has both on a single board! Also if you do the match BlackIce II costs more or less the same as iCEstick + Nucleo-L433, but it's much more powerful (e.g. more LUTs and on-board SRAM) and also is much more convenient (lots of PMODs, Arduino-shields compatibility). To the best of my knowledge BlackIce II is the best development board in terms of price/quality.